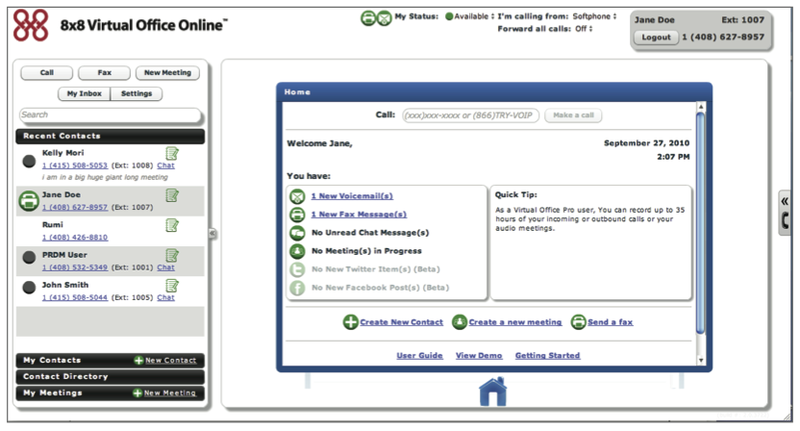 Virtual Office Pro 2.0, from the telecommunications company 8×8 (s eght), is a web-based suite of communications and collaboration services. The suite, known as VO Pro, includes phone, fax, web conferencing, call recording and chat. 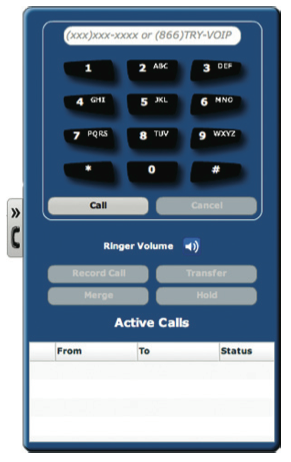 VO Pro’s Flash-based (s adbe) web interface allows direct sending and receiving of calls through a softphone, as well as access to functions that are standard with many VoIP systems, such as call forwarding and three-way calling. 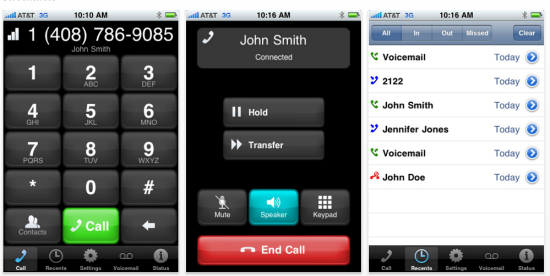 Users can also record and archive calls, and can see live video of callers and co-workers. 8×8 has jumped on the social media bandwagon, too: and users can post status messages to Twitter and Facebook directly from the VO Pro dashboard. In addition, the service includes unlimited sending and receiving of faxes. The core functions of the suite are available on the road through VO Pro’s mobile application for iOS (s aapl). VO Pro’s interface and feature set is similar to Ribbit Mobile‘s, although VO Pro feels more like a finished product than Ribbit’s did when I tried it a few months back. 8×8 Virtual Office Pro 2.0 is available as part of several plans, including an “unlimited” plan for a price of $49.99 per extension per month, plus a $40 setup fee. It is possible to port existing telephone numbers to the service. If you’ve tried Virtual Office Pro, share your comments below.